A magneto is required to power the spark plug so it is connected to the RPM Sensors. Every combustion engines including those of aircraft consist of spark plugs. These help in ignition or lighting required to ignite the fuel-air mixture in the combustion chamber. The gas lighters we use at home and the sparkplugs present in the aircraft have the same purpose and functioning. To work properly the spark plugs needs a high volt supply of electricity. This helps in creating the spark. To create the sparks, the electric power needs to very precise and delivered at the right moment. If it fails then there will be no spark. A battery cannot do the job efficiently. So to serve the purpose a custom built power generator called ‘magneto’ was invented. As the output power of the magneto is needed to be precise, it, therefore, needed to function with precision. A malfunctioning magneto will mean that everything down is also malfunctioning. So the pilot needs to know instantly that the magneto is malfunctioning. To know the working of the RPM sensor one must know about the magneto. The magneto is basically a dynamo with a rotating magnet, a transformer, and built-beaker and distribution system to channel the power of the spark plugs. For the reason mentioned above, the magnet needs to rotate at a speed with a prescribed limit. If it doesn’t then sparkplugs will misfire, to ensure that the aircraft have RPM sensor. It is directly connected to the magneto and it transfers data EDM gauge/ RPM gauge in the cockpit. The level sensor of aircraft depends on the magneto brand and magneto model inserted in the aircraft. If you install an RPM sensor make sure: The RPM Sensor is correctly aligned to the vent plug of the magneto. Quick look into the magneto hole and you can see a rotating magnet. If you see anything rather than it i.e. gears then you are at the wrong vent. 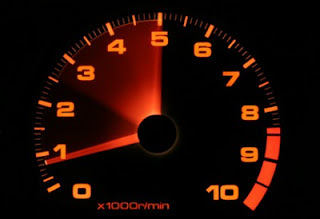 When all the things are connected and the engines fired up, the Digital Gauges in the cockpit should read 2400 rpm for a 6-cylinder engine or 1800 rpm for 8-cylinder or 1600 for a 9-cylinder engine. The red wire to the RPM standard sensors should be supplying 5v+.